Mr. M contacted our firm after receiving a letter from his disability insurer that he no longer qualified for disability benefits under his employer sponsored LTD plan. Cigna, also known as Life Insurance Company of North America (LINA), had paid disability benefits to Mr. M for two years due to his inability to work as a Process Operator for Formosa Plastics Corporation, USA. Mr. M suffers from a host of medical conditions including Chronic Pain Syndrome, various spine issues at all three levels, migraines, hypertension, as well as sleep disorders and gastro intestinal issues. During the first two years on claim Mr. M’s LTD policy required him to be unable to perform the material duties of his regular occupation as a Process Operator. However, like many group disability policies, the definition of disability changed in his policy after 24 months of benefits. After paying Mr. M benefits for 24 months, Cigna found that Mr. M was capable of performing an occupation at the sedentary exertion level. Cigna’s decision was based on a Peer review and Independent Medical Examination (IME). Based on these findings, Cigna found that Mr. M should be capable of performing certain sedentary occupations including that of a Maintenance Service Dispatcher or a Work Order Sorting Clerk. When Mr. M contacted our firm, he was also receiving social security disability benefits for the same disabling conditions. After speaking with Attorney Victor Peña, Mr. Peña decided to take on the case and help Mr. M appeal Cigna’s decision to terminate Mr. M’s claim. After receiving a copy of the claim file from Cigna, Mr. Peña and his team reviewed the IME report and Peer Review Report on which Cigna relied and a plan of action was set in motion. It soon became apparent that Cigna’s Peer Review was insufficient to support the conclusions reached in the Peer Review Report. Based on the above restrictions, Cigna determined that Mr. M was capable of performing at the Sedentary level of functioning. Interestingly, Dr. Lewis specifically stated that it is unlikely that that Mr. M would have the ability to return to full-time employment without restrictions given his history of cervical fusion. In support of Mr. M’s appeal, Attorney Peña and his team obtained custom questionnaires from Mr. M’s treating physicians specifically addressing the gaps in Mr. M’s medical records as well as the issues in Cigna’s review. Ms. M’s treating physicians provided detailed explanations corroborating Mr. M’s disability. Cigna and its Peer Reviewer had overlooked or ignored the fact that the most recent medical records showed that Mr. M’s disability had progressed for the worse in his upper extremities and that his condition would preclude him from working any type of sedentary job. The evidence clearly indicated that Mr. M’s functioning in his cervical spine has continually deteriorated. In addition to the Peer Review Report, Cigna relied on an old IME report it had performed months before the 24-month mark which concluded that Mr. M could perform sedentary work. However, the IME report documented a less than thorough evaluation. 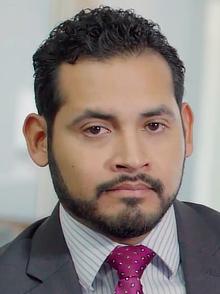 Attorney Peña argued that if Cigna had been interested in obtaining the most accurate assessment of Mr. M’s true functional limitations then a Functional Capacity Evaluation (“FCE”) would have been requested. But Rather than requesting a functional capacity evaluation, Cigna chose to rely on a peer review and independent medical evaluation to determine Mr. M’s functional limitations. Since Cigna did not request one and to provide more objective evidence of Mr. M’s functional limitations, Attorney Peña had Mr. M undergo an independent FCE to provide additional support for Mr. M’s claim. The results of the FCE confirmed that Mr. M has a less than sedentary level of work ability. The FCE report along with custom questionnaires from treating physicians and a thorough outline of the objective or clinical evidence corroborating Mr. M’s disability claim were submitted to Cigna in support of the appeal. After reviewing the appeal submitted on Mr. M’s behalf Cigna had no choice but to reinstate Mr. M’s LTD claim. Our office was notified by phone that Mr. M’s LTD claim had been reopened and all back benefits due to Mr. M would be paid. Attorney Peña continues to manage Mr. M’s claim with Cigna to ensure Mr. M has the best chances of staying on claim for as long as he remains disabled under the terms of his disability plan.